Year after year we are asked if there is a new “magic bean” that will “do everything,” “work everywhere” and do everything a land manager needs. Well unfortunately…the answer is consistently, “no.” And it’s not likely that one will suddenly appear. I can assure you that BioLogic and several other seed companies are scouring the globe looking at different forages and how they may fit into the wildlife world. If it’s out there rest assured, it will be found. In the meantime, the good news is there are really enough great products available to accomplish any goals, wherever the farm, lease or ranch is located. So let’s start with why and when a food plot program makes sense and needs to be incorporated into your plans if it is not already. 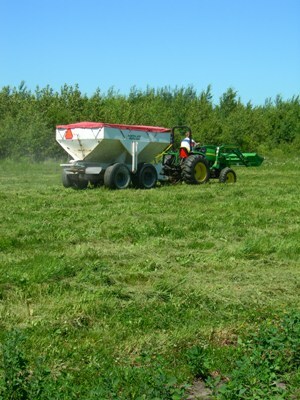 Food plots are relatively easy to plant and establish. They also offer an opportunity to significantly raise the nutritional plane of the property and it goes without saying that whitetails respond to good nutrition. A program of food plots such as spring annuals augmented with fall annuals serves to not only deliver nutrition, but they’ll also train deer to feed and frequent certain areas. It’s obvious the benefits of that. Maternal does train yearlings, yearlings grow up accustomed to feeding in plots and when the rut is approaching, bucks think of food plots as not only buffets, but as a great place to scent-check and search out does. Again, no explanation of the benefits needed. The succulent, tender, nutritious growth of a food plot is most always preferred by foraging whitetails when compared to native vegetation and is the base of what makes a food plot work. It is really that simple. If you don’t have what they want to eat, they will move to find it. The best whitetail managers all agree that food, cover and water are the keys the growing and attracting large whitetails. 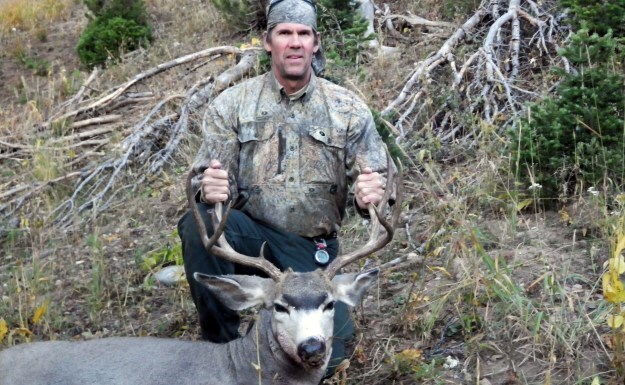 Managing the hunter pressure and reducing stress on the animals is also an important part of the equation that can’t be neglected, especially when concerning mature bucks. 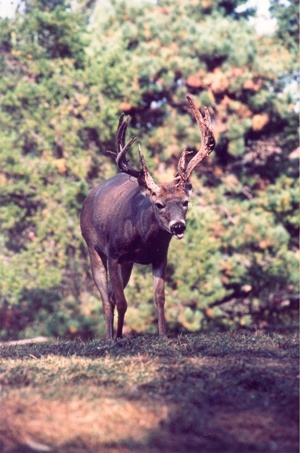 Whitetails are browsers and are constantly on the move when feeding. Having diversity is a huge benefit for the herd. Managing native browse to compliment your food plots is a great idea. The easiest ways to accomplish this is through fertilization and pruning or cutting. Mast crops and browse species really respond to fertilizer. The more “attractive groceries” you can provide on your property the better. In addition, supplemental feeding is another way to add diversity and will work hand in hand with a good food plot system and native browse management. 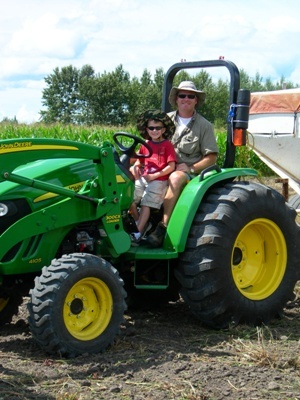 Most people have access to a tractor whether they realize it or not. If you don’t have your own, chances are the farm next to you does or someone in the community can be hired to plow and plant your plots. Often rental shops will also have all the equipment necessary. It just takes a little effort. Tractors are the best way to break up the ground and establish a seed bed. ATVs will work but don’t have the horsepower to pull the really heavy equipment that is sometimes needed. Don’t get me wrong….they can work, but for breaking and claiming new ground a tractor is preferred. Seeds are tiny living organisms that require loose soil in which to push down a small root system and establish themselves. A well prepared seedbed allows them to do just that. Imagine trying to do this in rock-hard soil, it is almost impossible and that’s why breaking and turning the soil is so important. Beg or borrow, but find a tractor and a disk to help you establish your plots. Fertilizer is also an important often over-looked part of this process. It’s really simple for anyone to do a soil test and determine exactly what their soil needs including the pH level and current nutrient needs. Every county has an agricultural extension service, but other better services are available. I encourage you to try our service at plantbiologic.com. Its only $7.50, you get the results emailed back to you within 24 hours of our lab receiving your dirt. The best feature is it’s the only lab I’m aware of that specializes in food plots. We make fertilizer recommendations for specific wildlife blends. Some state labs don’t even know what brassicas or lablab plants are, much less what they need. The “when to plant” question is an important aspect to the success of your plots. During the spring I always try and get started plowing and planting when the nights start staying consistently in the mid to upper 50’s. The night time temperature is indicative of soil temperature, most spring crops respond to the warmth and this really gets them cranking. In the Deep South where I live this is usually in April (can vary a few weeks each year) and we depend on our fall planted crops to carry us to this point. Clovers that were planted alone or mixed with cereal grains really flush themselves in the spring and can be very good sources of nutrition. Watch the weather channel and plot a strategy that involves “soil temperature.” You may be earlier further south and later in the north. In the spring the south is first to plant and then later the further you travel north, but for late summer/fall planting the north is first and then later the further south you go. Timing is everything. I love annuals because they know they only have a 6-9 month life so they “scream” out of the ground trying to produce as much forage as possible in the short amount of time they’re alive. It is easy to rotate from spring annuals to fall annuals and keep healthy crops growing. Perennial clovers are wonderful and should be incorporated into your management plan whenever possible, but in the west and south Texas…they can be tough to establish. The summers are just so hot and dry that these plants burn up. They can be treated as annuals, planted in the fall and with adequate moisture excellent fall, winter and spring stands can occur. But generally I would plan on replanting each fall. Whatever you plant this spring, spraying and weed management needs to be a part of your regime. By spraying weed control products you will grow a better crop. Summer weeds are a problem, but they can be managed. I think another one of the reasons I like BioMass all Legume so much, besides the fact that the soybeans are so nutritious, is that it is relatively inexpensive for as effective as it is. I find am constantly explaining to people how rewarding and relaxing it is to plant plots and I am always met with an agreeable response. Many tell me that they enjoy managing their property as much as they do hunting. There is something special about the smell of freshly plowed dirt and it is truly rewarding to see whitetails foraging in a plot you designed and planted. Just try it and I know you will agree. If you’ve been doing it, you already know what I mean. Being a Gamekeeper and farming for wildlife lengthens your season to a year-round involvement with your property and makes you a steward of the land. That’s a title that I am willing to bet you won’t take lightly once you get some dirt under your nails and see the results. Practicing plot partitioning, or planting several crops in the same area, can provide deer with security and diverse nutrition. Land managers across the country rely on food plots to attract and hold animals on their properties. In addition, they want these food plots to provide valuable nutrition for the wildlife that utilizes them. Boost your plots wildlife appeal and nutritional value by planting a few mast producing trees in or on the edge of your plots. There’s more to creating good groceries for game than sprinkling seed on the ground and letting Mother Nature take over. 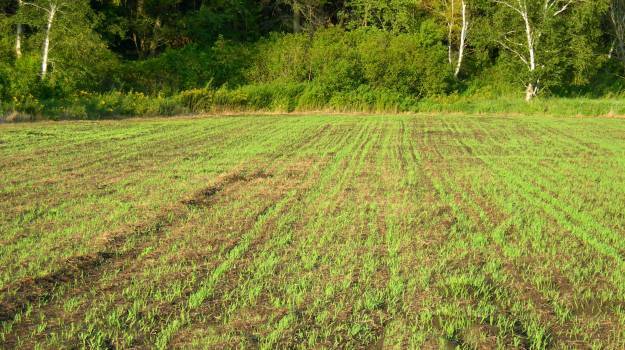 Planting an effective food plot is a science—a craft that requires lots of planning and knowledge. 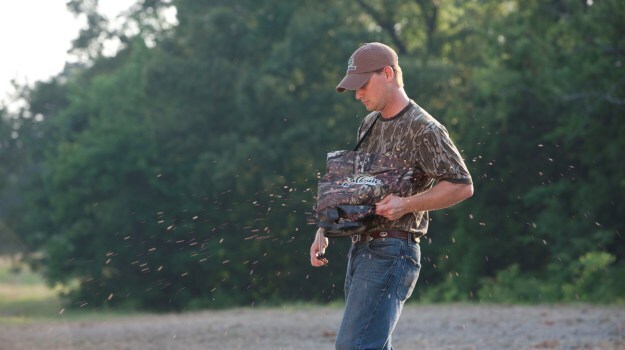 A food plot expert, Mossy Oak’s Austin Delano shed some light on how to grow the best food plots possible on your property.